Andrei Sidorenkov (born 12 February 1984) is an Estonian professional footballer who plays as a left-back for Nybergsund. Nybergsund IL-Trysil is a Norwegian football club located in Nybergsund in Trysil. It currently plays in the 3. divisjon, the fourth tier of the Norwegian football league system, having been relegated from 2. divisjon in 2018. Sidorenkov began his career in Estonia and played for Narva Trans, Sillamäe Kalev, Tulevik, Tervis Pärnu and Flora. JK Narva Trans, commonly known as Narva Trans, or simply as Trans, is a professional football club, based in Narva, Estonia, that competes in the Meistriliiga, the top flight of Estonian football. The club's home ground is Narva Kreenholm Stadium. JK Sillamäe Kalev, commonly known as Sillamäe Kalev, or simply as Sillamäe, is a football club, based in Sillamäe, Estonia. Founded in 1957, Sillamäe Kalev was one of the founding members of the Meistriliiga. FC Flora, commonly known as Flora Tallinn, or simply as Flora, is a professional football club based in Tallinn, Estonia, that competes in the Meistriliiga, the top flight of Estonian football. The club's home ground is A. Le Coq Arena. 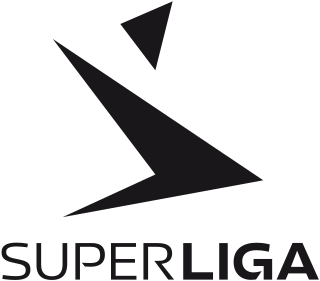 The Danish Superliga is the current Danish football championship tournament, and administered by the Danish Football Association. It is the highest football league in Denmark and is currently contested by 14 teams each year, with 1–3 teams relegated. SønderjyskE is a Danish football team. The club plays in the top tier of Danish football, the Danish Superliga. Their home is Sydbank Park in Haderslev. Sidorenkov is a member of the Estonian national team with 23 appearances and no goals for the country. He scored an own goal against Slovenia in a UEFA Euro 2012 qualification match on 12 October 2010, giving Slovenia a 1–0 win as it remained the only goal of the match. The Slovenia national football team represents Slovenia in international football and is controlled by the Football Association of Slovenia. In the period between 1920 and 1991, Slovenia was ineligible to field a separate team for competitive matches; local players instead played for the Yugoslavia national football team. Slovenia played its first official match in 1992, one year after the country gained independence from Yugoslavia. Meistriliiga is the highest division of the Estonian Football Association annual football championship. The league was founded in 1992, and is semi-professional with amateur clubs allowed to compete. 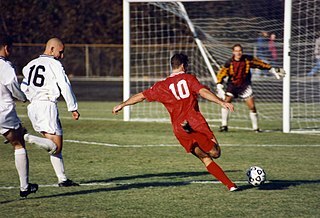 The 2002 Meistriliiga was the 12th season of the Meistriliiga, Estonia's premier football league. Flora won their sixth title. The Estonian Cup is the national knockout competition in Estonian football. In 2012, the competition was unofficially rebranded as Evald Tipner's Cup. The winner will compete in UEFA Europa League qualification round. Andres Oper is an Estonian football coach and former professional player. He is currently an assistant manager of the Estonia national team. Andrei Stepanov is an Estonian professional footballer who plays for Retro Tallinn. He plays the position of defender. Enar Jääger is an Estonian professional footballer who plays as a defender the Estonia national team. Jääger plays mainly as a right back but can also play as a centre back. Dmitri Kruglov is an Estonian professional footballer who plays as a left back and a winger for Estonian club FCI Levadia and the Estonia national team. Vladimir Voskoboinikov is a retired Estonian professional footballer who played as a centre forward. Tarmo Kink is an Estonian footballer who most recently played as a winger for Estonian Meistriliiga club Levadia. Kaimar Saag is an Estonian professional footballer who plays as a striker, most recently for B36 Tórshavn. Ats Purje is an Estonian professional footballer who plays as a forward for Veikkausliiga club KuPS and the Estonia national team. Sander Post is an Estonian professional footballer and manager who manages and plays in Estonian Meistriliiga for Tulevik as a centre back. Sergei Mošnikov is an Estonian professional footballer who plays as a midfielder, most recently for Kazakh club Palanga and the Estonia national team. Vitali Gussev is an Estonian professional footballer. Albert Prosa is an Estonian professional footballer who plays as a forward. Siim Tenno is an Estonian footballer who plays for German Oberliga Niedersachsen club MTV Gifhorn as a midfielder. Karl Mööl is an Estonian professional footballer who plays as a right back for Estonian club Paide Linnameeskond and the Estonia national team. Hannes Anier is an Estonian professional football striker who plays for JK Tallinna Kalev. Hindrek Ojamaa is an Estonian professional footballer who plays as a right back for Finnish Veikkausliiga club Vaasan Palloseura and the Estonia national team. ↑ "Sidorenkov siirdus Taani kõrgliigasse". Soccernet.ee. 31 August 2008. Retrieved 27 February 2012. ↑ "Andrei Sidorenkov otsib taas uut klubi" (in Estonian). ERR Sport. 20 December 2011. Retrieved 27 February 2012. ↑ "Sidorenkov on Poola kõrgliigaklubis testimisel" (in Estonian). Postimees. 16 August 2011. Retrieved 27 February 2012. ↑ "Andrei Sidorenkov naaseb Poolast testimiselt ilma lepinguta" (in Estonian). ERR Sport. 25 August 2011. Retrieved 27 February 2012. ↑ "Sidorenkov siirdus Taani esiliigasse" (in Estonian). Postimees. 14 September 2011. Retrieved 27 February 2012. ↑ "Sidorenkov otsib taas uut klubi". Postimees. 21 December 2011. Retrieved 27 February 2012. ↑ "Sidorenkov testimisel Rumeenia liiderklubis" (9 February 2012) (in Estonian). Soccernet.ee. Retrieved 27 February 2012. ↑ "Sidorenkov jäi Rumeenias lepinguta" (in Estonian). Soccernet.ee. 16 February 2012. Retrieved 27 February 2012. ↑ "Sidorenkov jätkab siiski Taanis" (27 February 2012) (in Estonian). Soccernet.ee. Retrieved 27 February 2012. Wikimedia Commons has media related to Andrei Sidorenkov . The Estonian Football Association is the governing body of football, beach soccer and futsal in Estonia, established on 14 December 1921. It organizes the football league, including the championship which is called Meistriliiga, Estonian Cup and the Estonian national football team. It is based in Tallinn. EJL became a member of FIFA in 1923, but following Estonia's annexation by the Soviet Union it was disbanded. It became a member again in 1992 after Estonia reinstated its independence.